Read-out Instrumentation Signpost: Level in IoT. Pepperl+Fuchs new level sensor, transmits its data to a secure remote station in the industrial Internet of Things. The IoT sensor WILSEN.sonic.level is bundled into a starter package with the WILSEN.service and a business data platform, making it easier to gain an introduction to the technology. This allows users to more quickly determine the value of the IoT system for their own company. The industrial Internet of Things connects the virtual world of information technology with the real world of machine and plant engineering and opens up new possibilities for process automation. With the help of radio sensors that transmit their data to the Internet, it is also possible to control assets that are either widely distributed or seem impossible to connect due to their mobility. 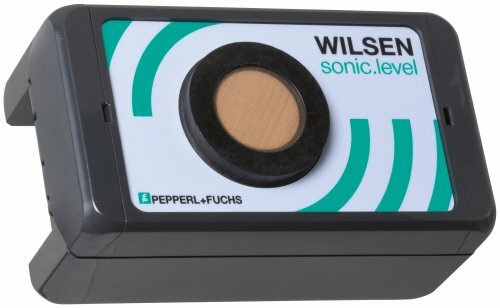 With the WILSEN.sonic.level, Pepperl+Fuchs presents an ultrasonic wireless sensor for monitoring fill levels in mobile containers, tanks, and silos. In addition, the battery-operated device determines the geolocation of the container and transmits the collected data via a GSM or LoRaWAN connection to a defined collection point on the Internet. The WILSEN.service not only ensures the secure exchange of data, but also allows centralized management of all IoT sensors in the field. In turn, software systems and data platforms for business data processing can be connected to the service. Pepperl+Fuchs has compiled an entry-level starter kit that includes all of the components required to form a working IoT system. This time-limited, fixed-cost package allows interested parties to get started with the Internet of Things even without prior knowledge, so that they can gather experience in their own process environment as quickly as possible.